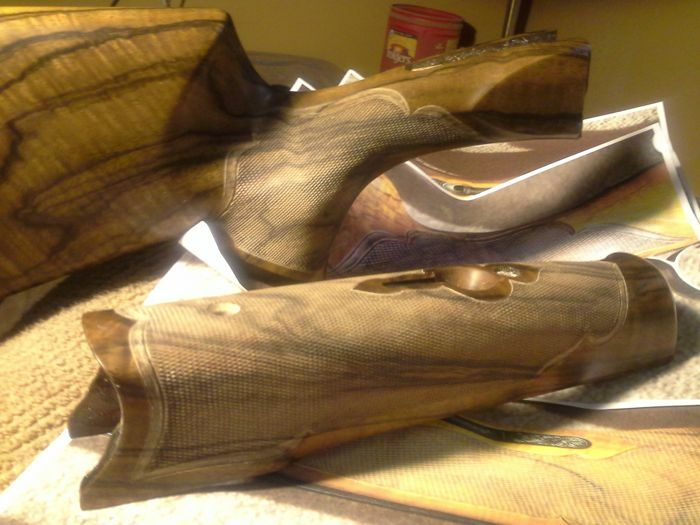 Our In-House Master Craftsman has over 20,000 gun stock builds under his belt. 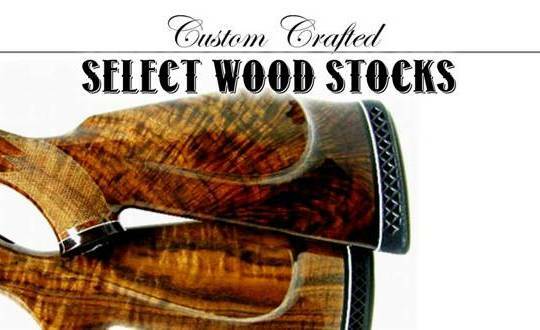 Here at Custom Shop, we are proud to offer high quality, hand crafted gun stocks with multiple options available. Built on-site by our Master Stock Craftsman, we use hand selected hardwoods in a variety of grades and types to match the palette of even the most discerning customer. We take pride in every stock we create and with over 16 years experience, and more than 20,000 built, you are assured that your gun stock will meet or exceed your expectations. 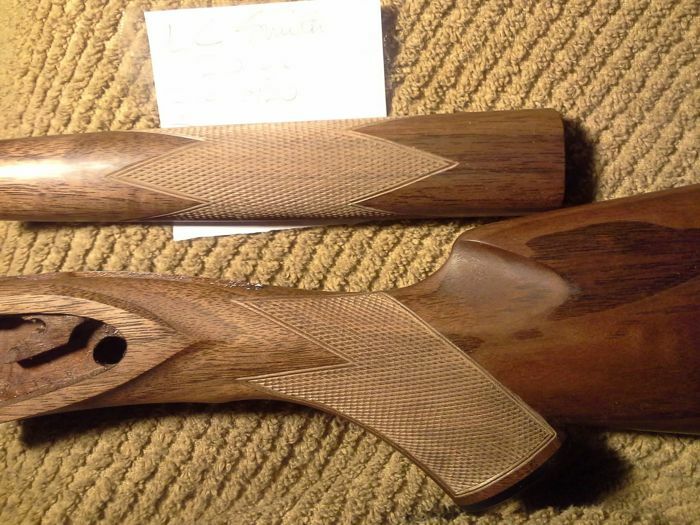 Whether you wish to restore and preserve your original stock or choose a completely new one, Custom Shop offers the finest in quality and customer satisfaction. 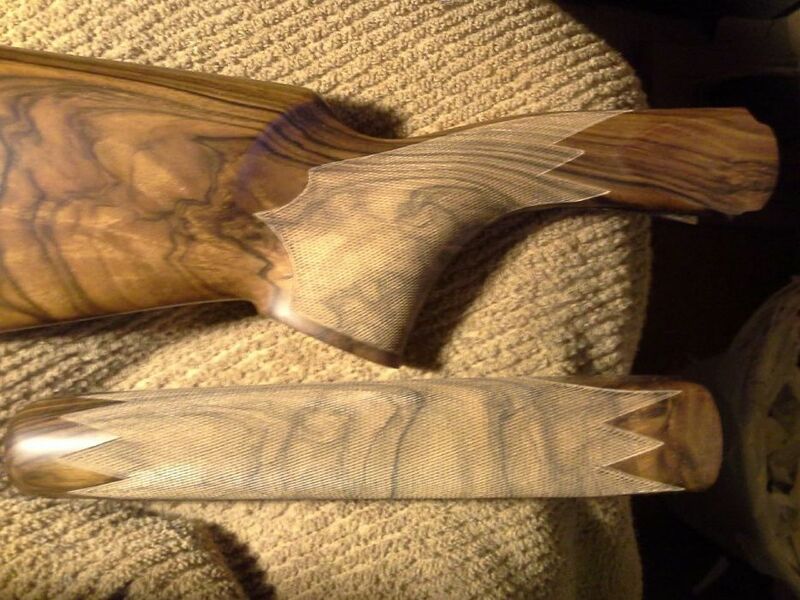 We can match your old pattern or design one as individual as you. Pam’s work is absolutely gorgeous!